Microsoft has announced that its employee giving campaign helped to raise $100.5 million last year, donating money to more than 18,000 community organisations in the US and around the world. The figure, which includes Microsoft’s contribution via its company match, means that since 1983, the Redmond-based company has raised more than $946 million for nonprofits and organisations since the program started in 1983. The company donations mirror the philanthropic efforts of Microsoft founder and former CEO Bill Gates, who has become well-known for his efforts in raising money and awareness for charities via the Bill and Melinda Gates Foundation. The Gates Foundation has focused on eradicating Malaria, helping third-world countries grow rice, also helping to end Polio. Since 2007, Gates has given $28 Billion to charity, which is 48% of his net-worth, reportedly saving over 5.8 million lives. Microsoft offers each of its full-time employees a $12,000 corporate matching gift that matches volunteer time (which equates to $17 an hour) or monetary contributions to nonprofits. In 2011, Microsoft employees in the US committed 426,671 volunteer hours, up 73,000 hours from 2010, bring the total volunteering time to 1.7 million hours since since 2006. The matched volunteer hours alone raised $7.2 million for charity. Technology rivals Apple also has a matching program of its own. In November 2011, Apple CEO Tim Cook said in an internal announcement to employees that the company had matched $1.3 million in charitable employee donations in less than two months, bringing the total amount to $2.6 million. Cook initiated announced the program in early September soon after his instatement as CEO and announced plans to match donations to non-profit organisations for up to $10,000 per year for each employee. 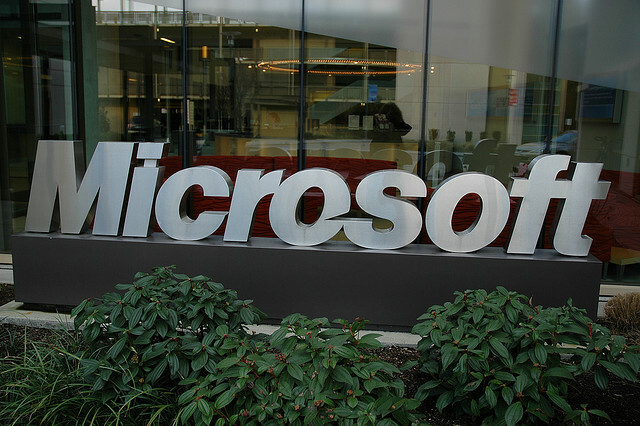 Microsoft saw 64 percent employee participation through the Employee Giving Program (more than 35,500 employees). Participation is defined as an employee donation of more than $25 or volunteering at least 10 hours with an organization. In October, when the company has its annual employee Giving Campaign, Microsoft employees raised $55 million of the $100.5 million raised in 2011, which is equivalent to $31.85 for every second of every minute of every hour of every working day of the campaign. The online auction (an internal tool developed specifically for the Giving Campaign by Microsoft volunteer employees) raised more than $670,000 this year, compared with $465,000 in 2010. There were over 1,000 items bid on over the course of the auction. Items included reserved parking spots, a cookbook autographed by Bill Gates and the chance to box against an executive. Since 1983, Microsoft and its staff have donated $5.55 billion in cash, services and software to nonprofits via its company-sponsored giving and volunteer campaigns.